Dr. Cribbs is originally from California. He graduated with a bachelor of science degree from the University of California, Los Angeles (UCLA) and remained at UCLA to complete his medical education. He completed his internship and ophthalmology residency at Emory University. He completed a vitreoretinal fellowship at Emory Eye Center in 2009. Prior to his fellowship, he served as an instructor at the Emory University School of Medicine in the Comprehensive Ophthalmology section. He rejoins Emory’s faculty as an assistant professor. His clinical interests include medical and surgical management of diabetic retinopathy, retinal vascular disease, age-related macular degeneration and retinal detachment. 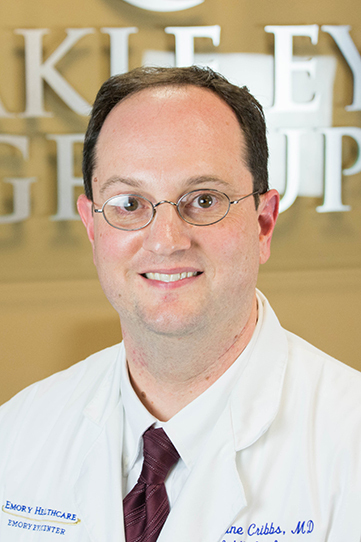 Dr. Cribbs is pleased to accept referrals through the Takle Eye Group.